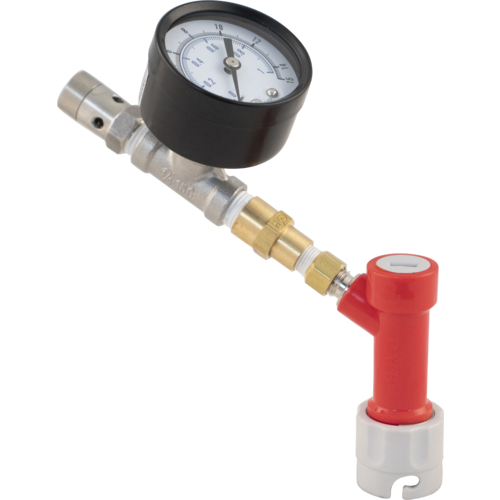 Relieves pressure while filtering from one keg to another plus allowing reading the pressure in the receiving keg. 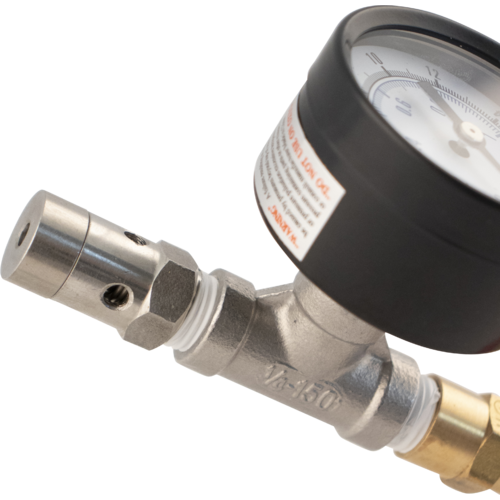 Notes: You need to wind/unwind the end of the valve to adjust the pressure. It sometimes comes threaded all the way on from the manufacturer occasionally. Wrap a towel around the end piece(about 1/4 in) and clamp down on it while twisting the wrench fitting on the bottom(closest end to the Gas In QD) to loosen it. Then finger tighten or loosen to desired pressure. It worked perfectly . I used it to keg beer that was fermented under pressure. No spills, but the gauge did not go high enough. 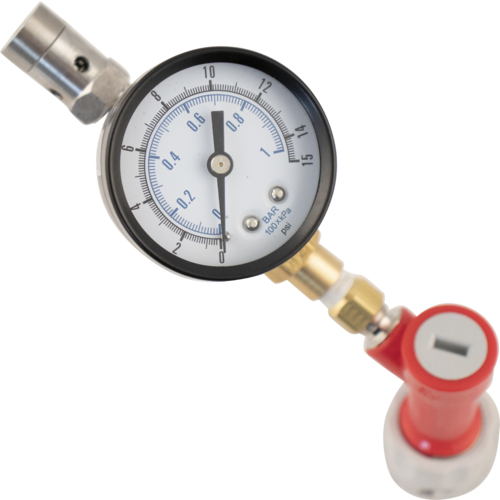 I just received my pressure gauge and tested it. Unfortunately it had a pretty heavy leak in two different spots. I used plumbers tape to seal up some of the threads and it worked fine after that. The gauge also only reads upto 15 psi which won't work for what I'm using it for so I replaced that with a gauge that reads upto 60 psi. 10 extra bucks.